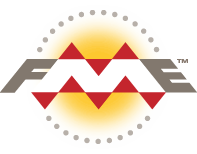 About the FME integration platform. Connect systems and transform data. Take FME Server to the cloud. 10,000+ organizations rely on FME. Connectors for 400+ systems & files. Tools for data prep and manipulation. Get ideas to improve your workflows. Watch hours of FME training videos. Register for live, hands-on courses. Browse tutorials, demos, and FAQs. Ask questions and post your tips. Suggest an idea and vote up others. Add and share custom FME content. Read our story and what Safe does. Ask us anything; we’d love to chat. Apply to join our fun-loving team. Read the latest news and stories. Use FME to transform data between the Geodatabase XML schema and hundreds of other formats, and enable the exchange of information between Esri Geodatabase systems and extermal applications. FME gives you the tools to manipulate data’s contents and structure to fit the model requirements of the target format or system. By creating clear paths for data to flow from source to destination its integrity and details are preserved during translation, producing optimal results. FME workflows run automatically and can be reapplied to ongoing Geodatabase XML conversions, saving you time and improving productivity. Esri's Geodatabase XML specification is an open format for exchanging data between its proprietary Geodatabases and external systems. FME is the data integration platform with the best support for spatial. The table below outlines how Esri Geodatabase (XML Workspace Document) is supported by our different FME products, and on which platform(s) the reader and/or writer runs. No credit card necessary. Start integrating data today!